Why people stutter has long been a medical mystery, with the condition blamed over the years on emotional problems, overbearing parents and browbeating teachers. 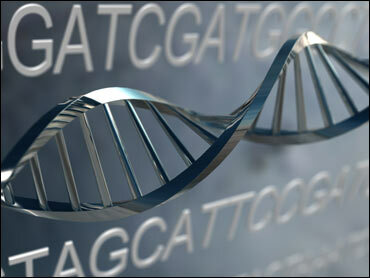 Now, for the first time, scientists have found genes that could explain some cases of stuttering. "In terms of mythbusters, this is really an important step forward," said Jane Fraser, president of the Stuttering Foundation. Researchers taking part in a government-funded study discovered mutations in three genes that appear to cause the speech problem in some people. Stuttering tends to run in families, and previous research suggested a genetic connection. But until now, researchers had not been able to pinpoint any culprit genes. Dennis Drayna, a geneticist and senior author of the study, said he hopes the results help convince doubters that stuttering "is almost certainly a biological problem." The research - released Wednesday by the New England Journal of Medicine - also points to a possible enzyme treatment for stuttering someday. Without a known cause, stuttering has been attributed to such things as nervousness, lack of intelligence, stress or bad parenting. Stutterers were told it was all in their heads. Fraser said parents contact her group worried they have done something to cause their children's stuttering. Were they too strict? Too attentive? Didn't pay enough attention? The gene discovery should lift that guilt, she said. Drayna and other experts said that while stress and anxiety can make stuttering worse, they do not cause it. "It really is not an emotional disorder. It doesn't come from your interactions with other people," he said. Stuttering usually starts in children as they are learning to talk. Most youngsters lose their stutter as their brain develops. For some, the stuttering persists. An estimated 3 million Americans stutter. Treatments include speech therapy and electronic devices. "This is a very difficult disorder to study," said Drayna, who is with the National Institute on Deafness and Other Communication Disorders. "You can't study it in cells in a dish. You can't study it in a test tube. You can only study it in awake humans." To find the genes, Drayna and others first looked at a large, inbred Pakistani family with many members who stuttered, and discovered a mutation on chromosome 12. Then they found the same mutation and two other mutated genes in a group of nearly 400 other people from Pakistan, the U.S. and England who stutter. They didn't find the mutations in a similar group of people who don't stutter, except in one Pakistani volunteer. The researchers estimate that the three gene variants account for 9 percent of all stuttering cases. But they are looking for other stuttering genes. In fact, between 50 percent and 70 percent of stuttering cases are thought to have a genetic component, Drayna said. "The task of connecting the dots between genes and stuttering is just beginning," Simon E. Fisher of England's Oxford University wrote in an accompanying editorial. The three implicated genes normally help run the "recycling bin" where cells of the body send their garbage. The mutations apparently interfere with that, affecting brain cells that control speech. "People had suggested all sorts of causes for stuttering over the years. An inherited disorder of cell metabolism was never on anyone's list," Drayna said. Two of the stuttering genes have previously been tied to rare diseases that can occur when the cell's recycling bin malfunctions. Other related disorders are now being treated by replacing a missing enzyme, and that could eventually be a treatment method for some kinds of stuttering, the researchers said. Kristin Chmela, a speech therapist from suburban Chicago who specializes in treating stuttering, said she was teased and bullied for her own stuttering while growing up, and "there were lots of days where I was afraid to go to school." She said she is looking forward to sharing the gene discovery with those she treats: "It's going to be very interesting to see the reaction on some of their faces."